Quality, great. Comfort, great. Functionality, great, Looks, great. Ticks nearly box. Only downfall, like a number of people have mentioned is, if you're trying to lock the flip up lid back down when riding, it can be a little bit difficult to get it locked in, as your chin seems to get in the way. I find it easy to lock when you have two hands free though. I think I'll just live with this minor gripe, as even though it isn't locked shut- it doesn't bounce around or move up and down. So it doesn't really make much of a difference. 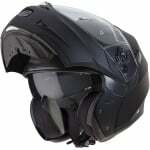 An affordable quality helmet. A really good fit, very functional at a great price. Really why pay more, this is my 2nd Duke in five years carnt say more than that. Fantastic helmet for the price. A good all round helmet a bit tighter than I'm used to but not uncomfortable. The only issue is the chin bar sits against the chin needs getting used to, the sun visor slide is located high in the centre of the helmet and again needs getting used to, otherwise a big thumbs up from me. A very comfortable helmet. Good fit, very easy to remove the visor and fit anti fog. Good all round helmet. Had a previous Caberg system before and liked it. This one is lighter and if anything more comfortable, the sun visor also retracts completely out of sight which the previous one didn't. Took a couple of rides to get used to but fits and protects well. The sun visor is a lighter tint than my other helmet which is better for the winter months. 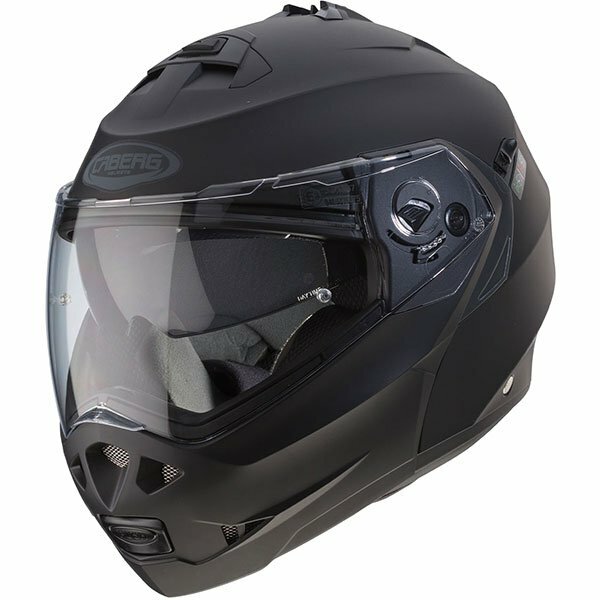 The Caberg Duke II is the successor to the Duke with an upgraded visor. 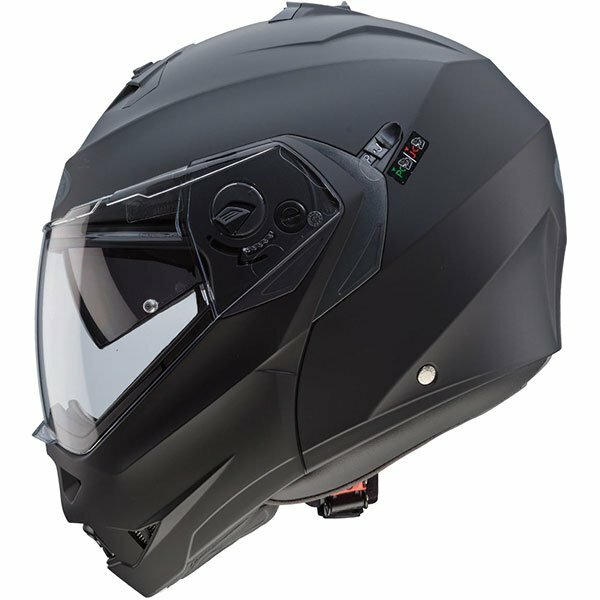 Made in Italy ensuring quality and reliability, the Duke has a dual EC homologation as both a full-face and as an open jet helmet with the flip-up raised. For over 20 years Caberg have been at the forefront of technical evolution and stylistic innovation. This has enabled them to develop a reputation for producing high quality reliable motorcycle helmets. 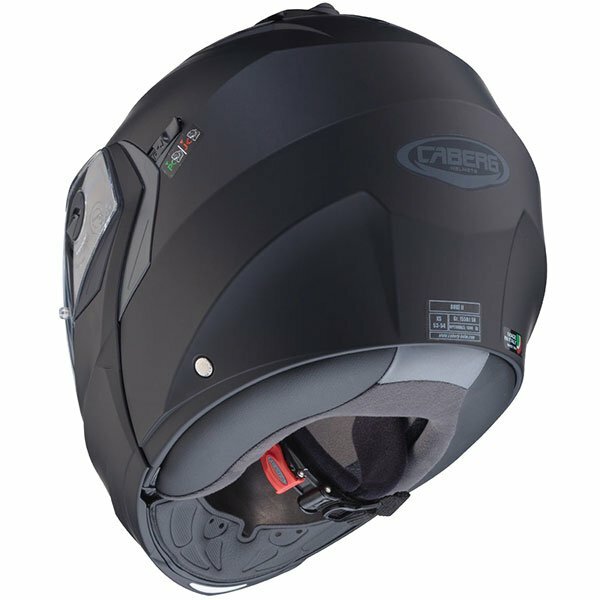 Caberg helmets are constantly updated and restyled to cater for fashion trends and new developments in comfortable materials. Features such as the integral sun visor make a Caberg helmet a very popular choice. I understand the Caberg Duke II Smart doesn't come with the Pinlock, how about the non smart matt black version? Caberg own website seems to suggest it does but I don't see reference here. Pinlock inserts are no longer supplied with any of the Caberg Duke II models. Does it have the cut outs around the ear for headphones? The Duke 2 has the seating to accommodate the Caberg Bluetooth communication system (JUST SPEAK S).